So Turkish President, a.k.a. Sultan Recep Tayyip Erdogan is about to make a high-profile visit to Tehran – the date has not yet been set - to essentially kick start the ATM (Ankara-Tehran-Moscow) coalition in Syria. Anyone as much as hinting at such a massive geopolitical tectonic shift a few weeks ago would be branded a madman. So how did the impossible happen? A major strategic game-changer – Russia using an airfield in Iran to send bombers against jihadis in Syria – had already taken place, with its aftermath spectacularly misreported by the usual, clueless US corporate media suspects. Can Russia trust Turkey this time? Yildirim added Ankara now agrees with Moscow that Bashar al-Assad “could” – and that’s the operative word – stay in power during a political transition (although that’s still highly debatable). Ankara’s drive to normalize relations with Moscow had an ‘important share’ in this ‘policy shift’. The ‘policy shift’ is a direct consequence of the failed military coup in Turkey. Russian cyber-surveillance aces – in action 24/7 after the downing of the Su-24 last November – reportedly informed Turkish intelligence a few hours before the fact. NATO, as the record shows, was mum. Even minimalist optics suggests ‘Sultan’ Erdogan was extremely upset that Washington was not exactly displeased with the coup. He knows how vast swathes of the Beltway despise him – blaming him for not being serious in the fight against ISIS and for bombing the YPG Kurds – Pentagon allies - in Syria. The record does show Erdogan has mostly ignored ISIS – allowing non-stop free border crossing for ISIS goons as well as letting Turkish business interests (if not his own family) profit from ISIS’ stolen Syrian oil. Compared to Washington’s attitude Moscow, on the other hand, warning Erdogan about serious, concrete facts on the ground in the nick of time. And for Erdogan, that was highly personal; the putschists reportedly sent a commando to kill him when he was still in Marmaris. Fast forward to Iranian Foreign Minister Mohammad Zarif’s surprise visit two weeks ago to Ankara. Zarif and his counterpart Mevlut Cavusoglu did discuss serious options by which the budding ATM coalition could come up with a viable exit strategy in Syria. One week later Cavusoglu went to Tehran and talked again to Zarif for five hours. It’s an uphill battle – but doable. Tehran knows very well IRGC officers as well as Hezbollah, Iraqi and Afghan fighters were killed in the Syrian war theater, and that shall not be in vain. Ankara for its part knows it cannot afford to remain forever trapped in an ideological dead end. Rojava, where and for whom? And then there’s the rub - the intractable Kurdish question. Iran, unlike Turkey, does not face active Kurdish separatism. 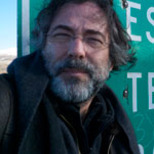 A minimum understanding between Ankara and Tehran – central to the current flurry of meetings, face-to-face and ‘secret’, via mediators, necessarily points toward a united, centralized Syria. That implies no Rojava – a possible independent Kurdish mini-state alongside the Turkish border, part of a not so hidden Washington/Tel Aviv balkanization agenda. Actually what is now in effect official Pentagon policy contains a mob element of Ash “Empire of Whining” Carter’s revenge on Sultan Erdogan; payback because Erdogan did not do enough to smash ISIS. And that brings us to the current Turkish offensive – for all practical purposes invasion – of Jarabulus. That’s the last fort – as in the last town that allows ISIS back and forth from southern Turkey to Raqqa in terms of smuggling goons and weapons. Ankara would never allow the so-called Syrian Democratic Forces (SDF) take Jarabulus. After all, the SDF – fully supported by the Pentagon - is led by the Kurdish nationalist YPG, which Ankara sees as a mere extension of PKK separatists. Imagine Ankara’s terror at the YPG seizing Jarabulus. They would have crossed the ultimate Turkish red line; closing the gap between two Kurdish cantons across the border and for all practical purposes giving birth to the Rojava Kurdish mini-state. Yet even if for Ankara an independent Rojava remains the supreme red line, there are declinations. A Rojava might come as quite handy if it became a dumping ground for Turkish PKK fighters. Arguably the PKK would not complain; after all they would have “their” state. No one seems to be considering what Damascus thinks about all this. And no one, for the moment, has a clue about the precise geography of a putative Rojava. If it includes, for instance, the recently liberated city of Manbij, that’s a major problem; Manbij is Arab, not Kurd. Kurds once again seem to be thrown into disarray - forced to choose whether they are allied with Washington or with Moscow. Moscow, for its part, is crystal clear on ISIS. It is dead set on smashing for good, by all means necessary, any militants who consider Russia their enemy. Erdogan certainly calculated that a rapprochement with Russia had to include being serious against ISIS. Extra incentive was added by the fact the bombing this past Sunday in Gaziantep was most certainly an ISIS job. So Erdogan’s Syria master plan now boils down to - what else – another wilderness of mirrors. By crossing to Jarabulus, Ankara wants to establish a sort of remnants of the Free Syria Army (FSA)-controlled enclave. The Americans can't blame him because this will be against ISIS – even though it’s mostly against Rojava. And the Russians won’t make a fuss because Moscow is in favor of Syria’s unity. Former Turkish Prime Minister Ahmet Davutoglu, previously of “zero problems with our neighbors” then converted into “nothing but problems with our neighbors” is now history. Yildirim is a pragmatist. So the opening to Russia had to be inevitable. And that leads us back to the – alleged - end of Team Obama’s obsession, “Assad must go”. He may stay, for a while. Yildirim has confirmed this is now Turkish official policy. Although that does not mean Ankara – and Washington for that matter – have given up on regime change. They will keep up the pressure – but tactics will change. As it stands, the major fact on the ground is that ‘Sultan’ Erdogan seems to have had enough of the Americans (NATO of course included) and has pivoted to Russia. Thus the sending of certified Keystone Cop Joe Biden to Ankara to plead “not guilty” on the military coup (forget it; most Turks don’t believe Washington) and to implore Erdogan not to pursue his massive purge (pure wishful thinking). Considering Erdogan’s notoriously erratic record, his embrace of ATM may be just a gigantic illusion, or may open yet another unforeseen can of worms. But there are signs this may be for real. 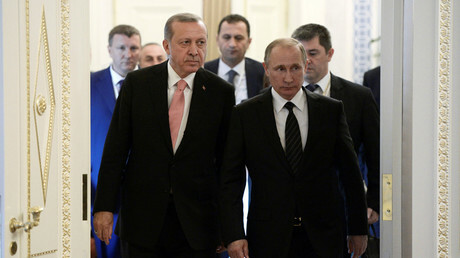 Moscow has every reason to be quite cautious regarding myriad aspects of Erdogan’s pivoting. After all the Turkish military has been part of NATO for decades. 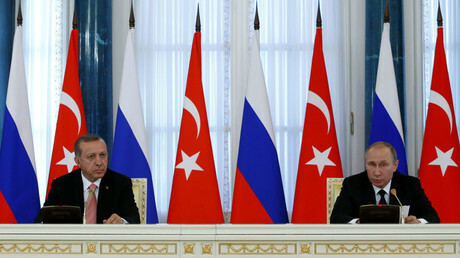 As it stands, there’s no evidence Moscow and Ankara are looking at the same post-war Syria. But if we’re talking about the future of the Shanghai Cooperation Organization (SCO), then it starts to get really interesting. Turkey is already a “dialog partner” of the SCO, while Iran may become a full member as early as next year. Moscow is certainly envisioning Ankara as a valuable ally in the wider Sunni world, way beyond a role in repelling Salafi-jihadis in Syria. With Ankara and Tehran also talking serious business, this could eventually spill out into a serious debunking of the alleged apocalyptic Sunni-Shi’ite sectarian divide, which is the only Divide-and-Rule strategy spun and deployed non-stop by the US, Israel and the House of Saud. It’s this enticing SCO-enhancing possibility that’s freaking Washington out big time. Russia pivoting East, Turkey pivoting East, Iran already there, and China now also actually involved in a stake in post-war Syria, that’s a geopolitical reconfiguration in Southwest Asia that once again spells out the inevitable; Eurasia integration.